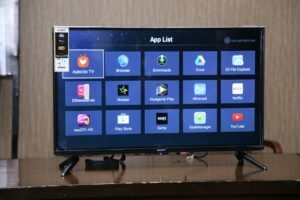 Samy Informatics , the known TV manufacturing company has launched its New Android Tv in India at the price of just Rs. 4,999. This new TV from Samy is the Cheapest Android Tv in the Market which comes under the scheme “Make in India”. And “start up India” which means maximum parts of this TV will be manufactured in India. The all new Tv from SAMY Informatics comes with 32 inch LED Screen and top features like screen mirrors and inbuilt Wi-Fi. 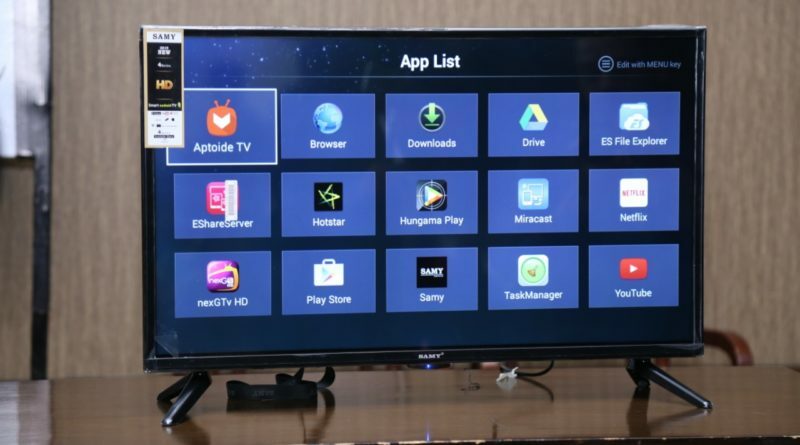 Also the company is providing On site service and warranty for this Samy Android Tv. You can buy the product through Samy App by entering your Aadhaar Details. Also to protect from any fraud seller selling One Tv will be available per Aadhaar. 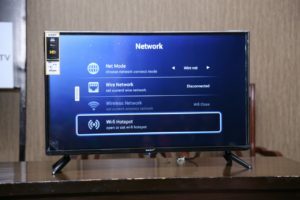 When we talk to company Director , Mr Avinash Mehta about the reason behind the low price He told us that there is no-middle man involved and Samy is selling the Tv directly to customers through App. The customers can also opt for Cash on Delivery at the checkout section. Coming to the specifications and features of Samy Android Tv. It comes with a 32-inches of LED display which has HD support with pixel resolution of 1366×786 pixels. The aspect Ratio of the display is 16:9 and dynamic ratio of 1000000:1. Coming to the Android part , the tv has 512MB of RAM and 4GB Internal storage to install Android Apps. The device runs on Android 4.4 and comes with Google Play store to download Apps and you can also play youtube videos in it. The Samy Tv has two 10W speakers, one is SRS Dolby Digital and another one is 5 Band Equalizer. For the connectivity , there are two USB ports and two HDMI ports. For video and audio separate video-audio outputs are also available at the rear side of television. 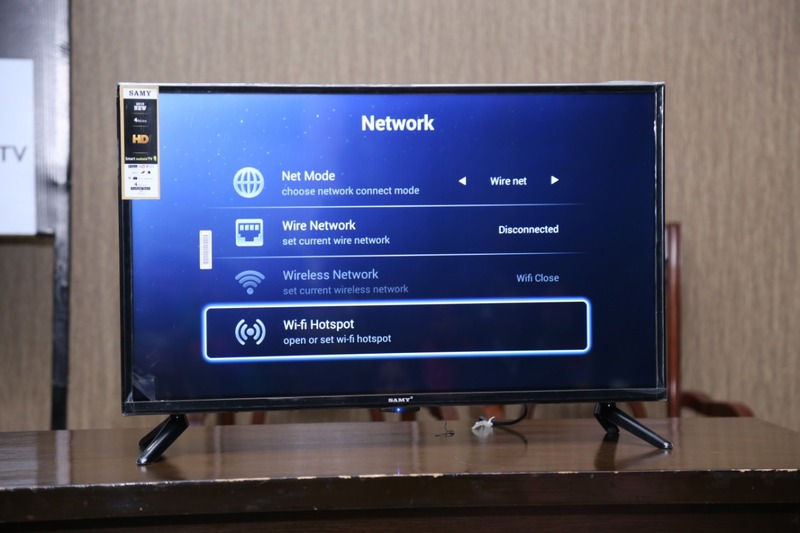 Another great feature about the television is screen mirrors and inbuilt Wi-Fi which mostly founds in Premium Tv’s. 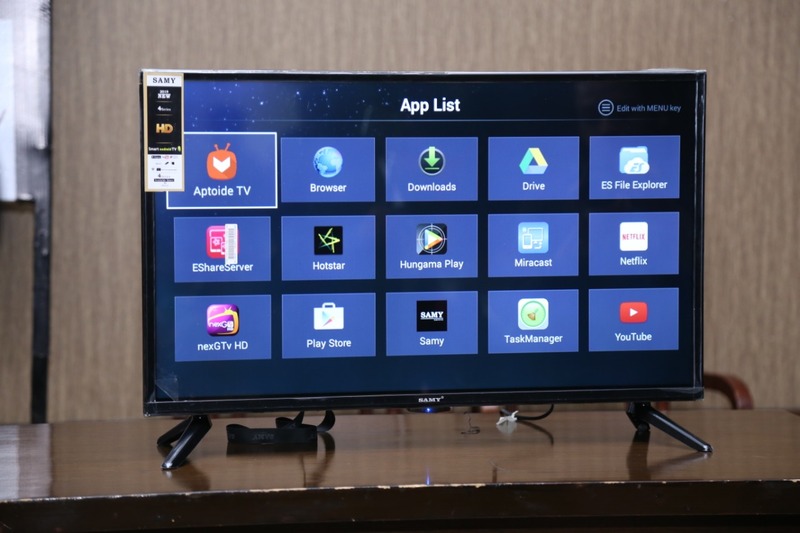 Samy has also launched the 40 inch variant of Android tv priced at RS 15,000. The company is providing 3 year of onsite warranty on its Televisions.